Horses’ digestive systems are made to work constantly— taking in and processing as horses browse and graze. When there’s an upset to your horse’s eating or stress or disruption in your horses’ routine or environment, there’s also upset to his internal balance. You see a change in his appetite and waste. Keep your horse’s digestive system balanced with the appropriate balance of beneficial bacteria. When horses have low levels of beneficial bacteria in their guts (easily caused by changes in feed, stress, or work level) you’ll see more cases of diarrhea and even constipation. Feeding prebiotics (the food necessary for health probiotic bacteria to flourish) will help your horse maintain a healthy digestive tract. 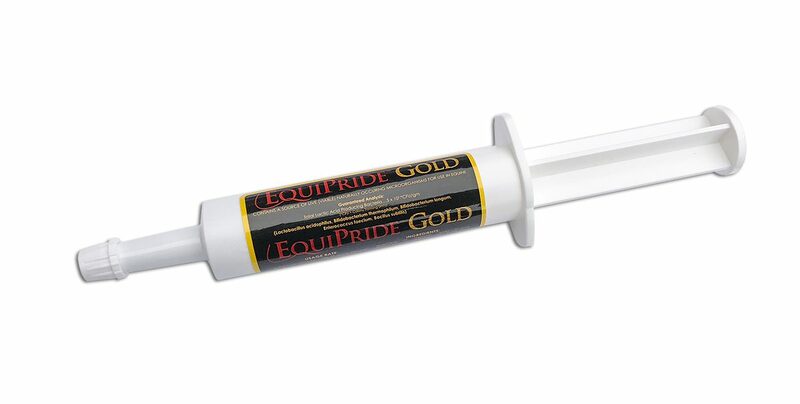 The necessary prebiotics in EquiPride Gold* can help your horse maintain a healthy appetite and aid in digestion during travel, competition, stall rest, and while taking prescribed medications (*discuss with your veterinarian). 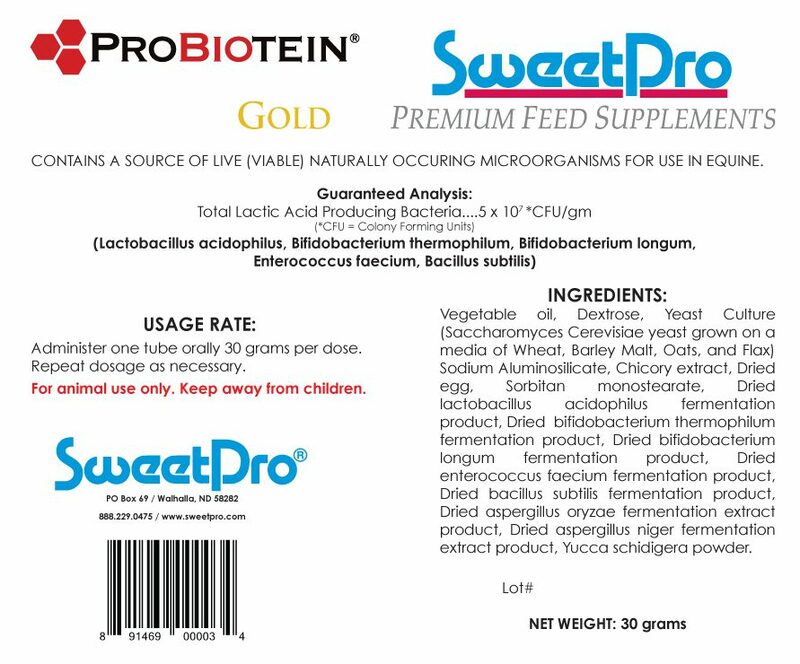 This paste contains probiotics to seed the intestines with the appropriate population of microorganisms, and Probiotien, a prebiotic that provides substrates for the appropriate population of microorganisms that reside in the intestine of a healthy horse. • Administer one tube orally. • 30 grams per dose. • Repeat dosage as needed. • Store paste in a cool, dry place with no direct sunlight. veterinarian before administering new supplements.